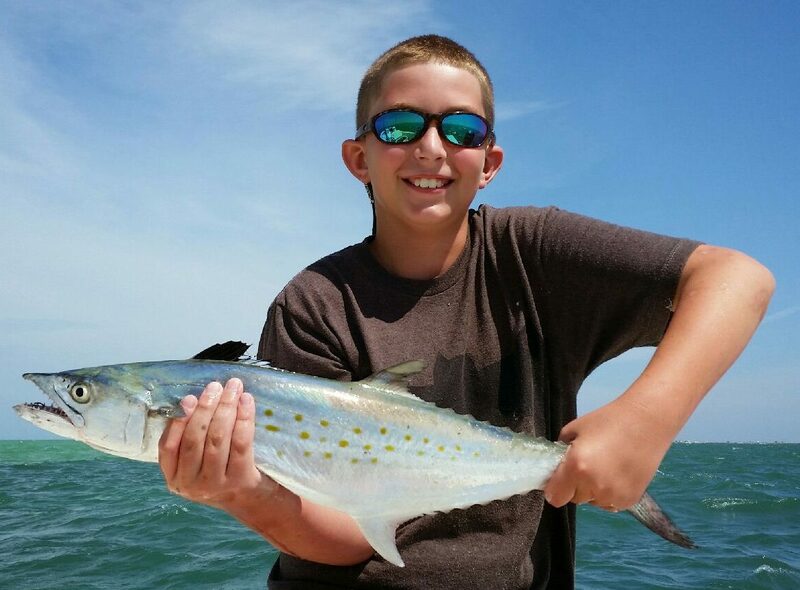 and let the tide carry it into the fish and down the structure we are fishing as to not break up the school of fish. They are in tight schools in some areas on the inshore flats. Redfish are here early for their annual spawn due to the drop in water temperature and this past waxed moon helped them migrate to shallower water. There are big school’s in our area near the river mouths, creek mouths and bayous. Snook Fishing is at it’s fall peak as they are staged up in mass numbers, ready to make the dash to the warm protected rivers in our west central Florida region. There are many areas these species stage not far from the Pithlachascotee and Anclote rivers. 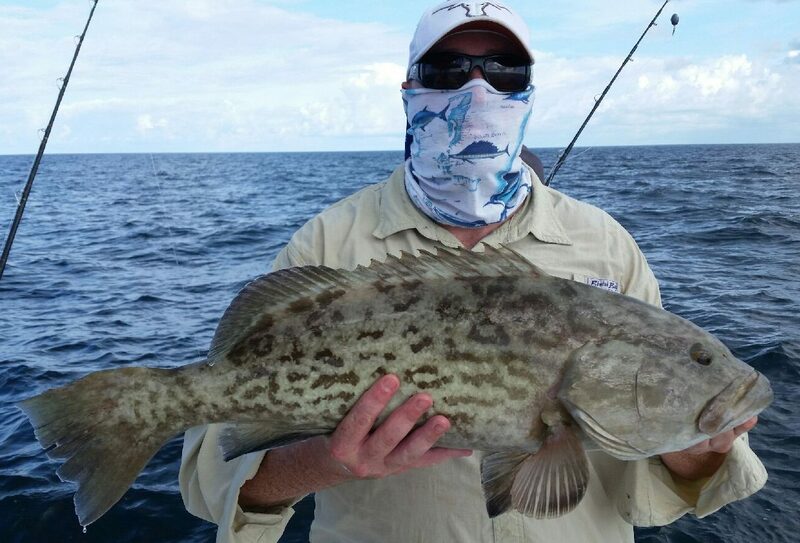 Bring home your delicious Snook before the season closes! 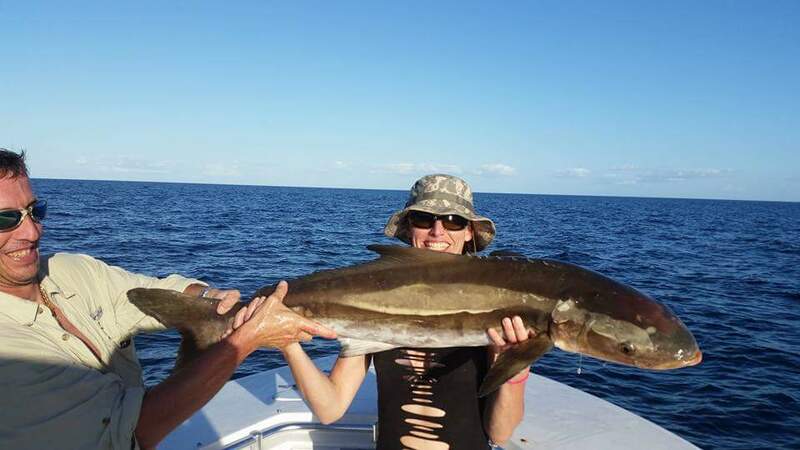 Bonito and Cobia are the pelagic species that are available for expert and novice fisherman alike. 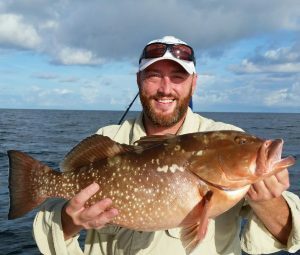 They are impartial to the angler or the bait as the smokers (big King Fish) always eat the flat lined baits behind the boat on a 3/0 J hook with 1 or multiple stinger hooks (treble hooks) with 15-20 inches of wire to prevent these razor sharp toothed fish from cutting you off, while bottom fishing at anchor. 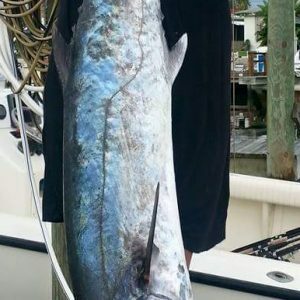 Slow trolling large live baits is a sure way to get a sky rocketing king fish hooked up easily smoking 100-150 yards of line off the reels with double hook-ups and triples during their migration to the south this time of year. 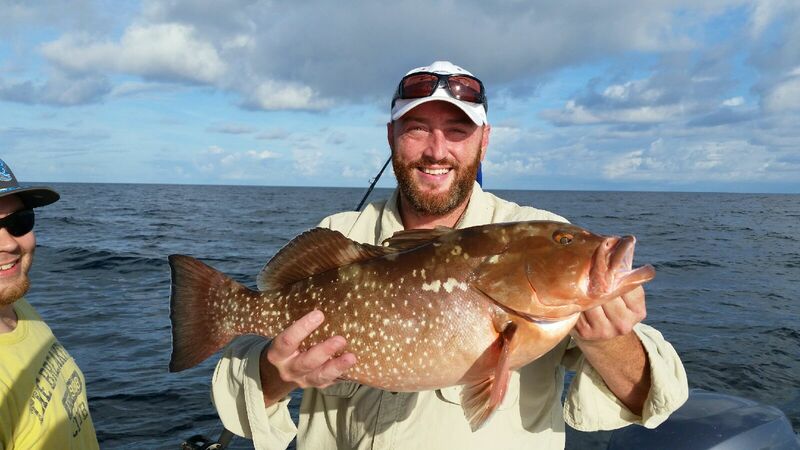 This type of fishing in federal waters is also a sure way to get your blood pumping and mass amounts of adrenaline to be released into your body!!! 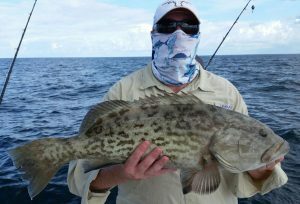 This entry was posted in Clearwater flats fishing charter, Deep Sea Fishing Florida Ket's, Inshore Flats Fishing Charters, Nearshore fishing charter, Nearshore Grouper fishing, New ort richey fishing charters, New Port Richey fishing charter, New Port Richey flats fishing charter, Offshore Fishing Florida, Offshore Trolling, Red-fish fishing charters, snook fishing charters, Snook Fishing Guide, Spotted Trout Fishing, tarpon springs fishing guide and tagged backcountry fishing, deep sea fishing, fishing charter, fishing guide, fishing trips, Fl.Gulf Coast Trout fishing, florida flats fishing, Grouper fishing charters, inshore fishing, Inshore Flats fishing charter, Nearshore fishing charters, New Port Richey fishing charter, Offshore Trolling Florida, Red-fishing Charters, snook fishing charters, Spotted Trout fishing charter, Tarpon Springs fishing charter, Tarpon Springs Fishing Guide, Tarpon Springs Snook fishing, Trout fishing, West Central Florida Gulf Coast Guide Service. Bookmark the permalink.